Nurturing Eco- Consciousness in Children Through Garden Education, Nature Exploration and Play. Delray Beach Children's Garden is located at 137 SW 2nd Ave, Delray Beach, Florida. 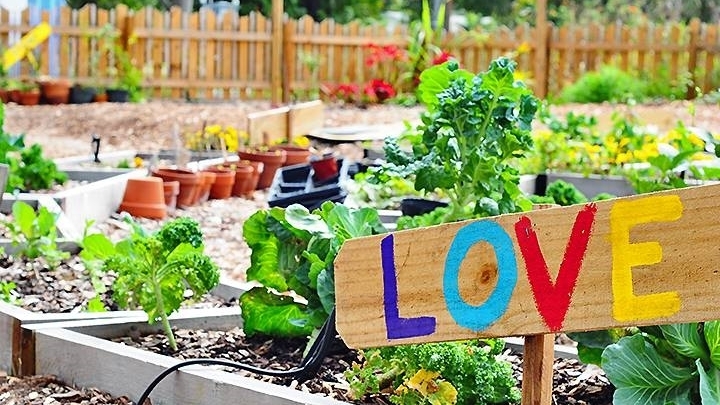 The Delray Beach Children's Garden was born out of the desire to raised nature eco-conscious children that will eventually become adults who would want to be stewards of nature and the environment themselves. To achieve this, the garden incorporated opportunities to learn, to play and explore mother nature. Right from the beginning, the garden committee included the children in the design and build in mind. Today, children have a big part in the creating of what the garden has to offer today. Serving as judges at the design and volunteers in the building as well. The garden team consists of Shelly Zacks, founder, and director of the Garden. Shelly Zacks always had this love of the natural world since she was a child. Jeannic Fernsworth is another honorable member of the Garden holding a position of program director. Bridget Langford is the volunteer coordinator, Veronica Cordoba is serving as early childhood facilitator and Jake Hampu is the program director at Delray Beach Children's Garden. Garden has some tremendous features that includes: Rare and Tropical Fruit Trees, Cotton the Albino Bunny, Veggie Garden Labyrinth, Giant Storytelling Chair with a Treasure Chest of books, Fish and Turtle pond, Twig Tunnel, Banana Forest, Well Wishes Healing Garden, Interactive weather and solar power stations, Dream Boat and the Simon Grass River Hut for classes, celebrations and gatherings. Come to visit Delray Beach Children's Garden with your families for full fledge complete entertainment. Delray Beach Children's Garden is located at 137 Southwest 2nd Avenue. Delray Beach, Florida US. Delray Beach Children's Garden is a Park type of place. This individual is happy to share something about themselves here. If the phone number and address is shared, feel free to call or stop by during business hours. (561) 716-8342. Most of the reviews here at Delray Beach Children's Garden comment positively on them. The staff at WebPageDepot hopes you find the information here fun and informative. Please note there is a "View Similar" link in the Blue Footer to find other Parks, top on the right, and in the left section thumbnails of similar sites. These websites are all relative to your original search. This site for Delray Beach Children's Garden was built to enhance this client's Internet presence and grow the WebPage Depot online business directory. WebPage Depot is designed for local directories and a complete business directory. This free business listing site provides a fully functional website. The WebPage Depot site marries seven social media accounts (if available), google maps, large pictures, a contact us page (protecting the client's email address), a link to the client's original website and relevant Youtube videos. Additionally, we write an original text Welcome Message. WebPage Depot does make some assumptions, sanguinely, for the benefit of the client. We write everything from a positive context. Our goal is to move-up the visibility/ranking on this site to the highest level possible. Improvements to ranking come with additional relevant content. To continue this effort, we will need suggestion from the client, i.e., menus/list of services, specials, current pictures and videos and additional text for the Welcome Message.